You see, I have some OCD issues. Like there’s this one plate in my cupboard that bugs me every time I open the door. Upon first glance you might miss it sitting on top of the other plates. But it’s there, not fitting nicely in the stack, always needing to be moved as I put away the other clean plates, just bugging me and my OCD. An old-school Swiss Chalet plate. I keep it because I absolutely love it. The joy it brings when I see it definitely outweighs the amount it bugs me by not fitting in with my organized cupboard. I need these little reminders than not everything needs to go as planned, and not everything needs to fit in nicely with everything else. Some things should just be fun and spontaneous and mess up any kind of plans I might have had. Like moving out west on my own for 5 months to attend Rocky Mountain Bible College, like meeting my Joshua, like finding out I was pregnant for the first time, like moving to Sudbury, like our family trips to Mexico, Dominican, and Cuba. So many amazing memories than I hadn’t planned for, so many incredible changes that I didn’t see coming, so many ways my life has been surprisingly enriched. Like the Swiss Chalet plate. Swiss Chalet was our family’s favourite restaurant when we were growing up. Birthdays and milestones were celebrated there. My go-to meal is still the chicken on a kaiser with white meat and fries. YUM. When I moved out west on my own I got a job waitressing at Swiss Chalet in Calgary. I loved that job – I loved the activity of the restaurant, having a job that required constant movement, meeting so many new people, and half-price meals! I could now enjoy a chicken on a kaiser with every shift I worked – even as a struggling student! And when I moved back home suddenly instead of pursuing my Bible College degree, and started dating Josh a few months later, Swiss Chalet was often where we would hang out – especially after church on Sundays with a big group of people. Josh and I also had many date nights at Swiss Chalet. On one of those occasions we discovered the old plates would be replaced with new ones very soon. I remembered this happening in Calgary during my time there – how the plates got much bigger and heavier – I could only carry 3 now instead of 5! More trips to the kitchen and back! One night Josh asked if he could have an old plate before they would become obsolete. He’s quite a charmer and had no problem convincing the waitress. She tucked our plate into one of the old foil containers they used to give for doggy-bags – you know, the ones with the cardboard lids? His request was never discovered by upper management, and we escaped the restaurant with the plate – no problem at all. And that’s why I can’t seem to part with the plate – because it has memories of so many different chapters in my life. It’s from the exact same restaurant I used to frequent with my family as I was growing up, many celebrations were there, I remember so many dates with Josh there, so many times with friends, and it also reminds me of a special time in my life that I spent out west – just growing up and figuring things out. 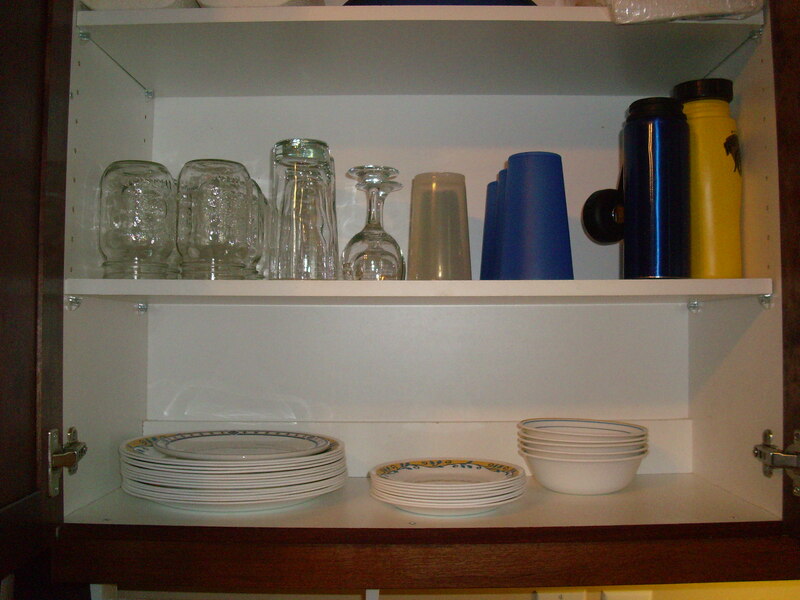 That odd plate can stay in my cupboard as long as it likes – no matter what my OCD has to say about it. If it didn’t bring me joy, it would have been on the way out long ago. I just finished reading a book called The Life-Changing Magic of Tidying Up: The Japanese Art of Decluttering and Organizing. These sorts of books really appeal to my love of all things organized and efficient. Even my wedding dress is potentially on the chopping block – I’m still not sure. It was specially-cleaned as a wedding present, and packed into a storage box. I have moved this box a few times, never opened it, never gazed on my wedding dress since the one day I wore it, I don’t have any daughters, and I’m not sure I want to inflict any unnecessary pressure on potential daughters-in-law. So there it is – when you look around your home – do the items that currently live there bring you joy? Or do they weigh you down in some way? Apparently when the things that surround you are of your own choosing and bring you joy – this helps you uncover much about who you are and things that you love to do. And the absence of clutter can restore and renew your passions and dreams. Next What Would You Like to Read About? Your beautiful, but relatable words give me confidence that I did the right thing by tossing almost ALL the old non-looked-at-random-stuff collection last time I moved!